The Talismen established their roots in Brookings in 1960 when John Murphy and Jeff Ferrell paired up and within the year were joined by Pat O'Connell and Tom Hoy. As the band developed, they began playing at school functions, auditoriums, fairs, and street dances throughout South Dakota. Entering their college days, the band added saxophonist Bob Trieds, who was replaced soon after by Dennis Gerald. The group quickly earned their way into the dance hall circuit and club venues. Teaming up with booking agent Jimmy Thomas during the early 60's they toured with Jimmy Soul and Dale & Grace. 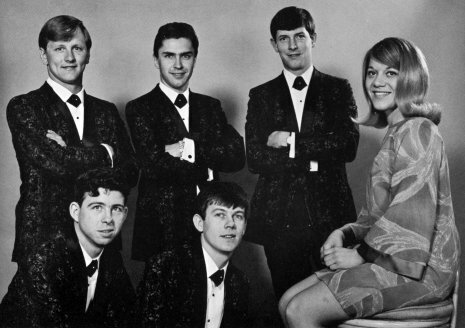 By 1966, the core members of what would become known as Marlys Roe and The Talismen were Murphy, Gerald, O'Connell, Wynn Kanten, Mike Cannon, and Marlys Roe. Frequently the band was joined by additional horn players and performed throughout a 6 state area and Southern Canada. Marlys Roe and The Talismen recorded 45's in both Milford, IA and Minneapolis, MN. Both records, "Remember September" and "Walking Proud" received widespread air play in the Midwest. The group played many times at Horatios (a hot spot for the SDSU crowd) in Brookings, and traveled the upper Midwest playing in many of the ballrooms and dance halls. They developed quite a fan base and "packed them in" wherever they played. In 1968, after several core members of the band graduated and scattered, Gerald took over ownership of The Talismen. Spanning the next two decades, Dennis kept the name alive performing in dance halls and eventually large venues. The members of Marlys Roe and the Talismen reunited for gigs at SDSU in 1994 and again for the Brookings High School All-Class reunion in 2004. Fifty years and over one hundred musicans later, the Talismen are still making great music.